John Ajvide Lindqvist is the author of Let the Right One In and Handling the Undead. 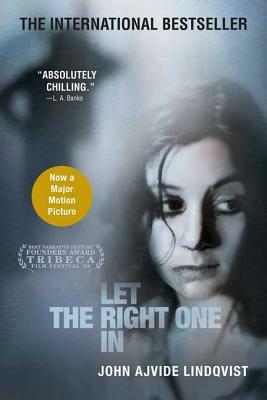 Let The Right One In, his debut novel, was an instant bestseller in Sweden and was named Best Novel in Translation 2005 in Norway. The Swedish film adaptation, directed by Tomas Alfredsson, has won top honors at film festivals all over the globe, including Best Narrative Feature at the Tribeca Film Festival. An American remake, Let Me In, written and directed by Cloverfield director Matt Reeves, was released in October 2010 to rave reviews. Lindqvist grew up in Blackeberg, a suburb of Stockholm and the setting for Let the Right One In. Wanting to become something awful and fantastic, he first became a conjurer, and then was a stand-up comedian for twelve years. He has also written for Swedish television. He lives in Sweden. Ebba Segerberg is a translator of Swedish literature with a focus on Swedish crime fiction. Her translations include several installments of the Wallander series by Henning Mankell and Let Me In by John Ajvide Lindqvist. She has worked in a variety of other genres and formats including biography, short stories, and screenplays. She holds a PhD in Swedish literature and film studies from the University of California at Berkeley, and currently lives in Saint Louis, Missouri.